On January 3, 2019. 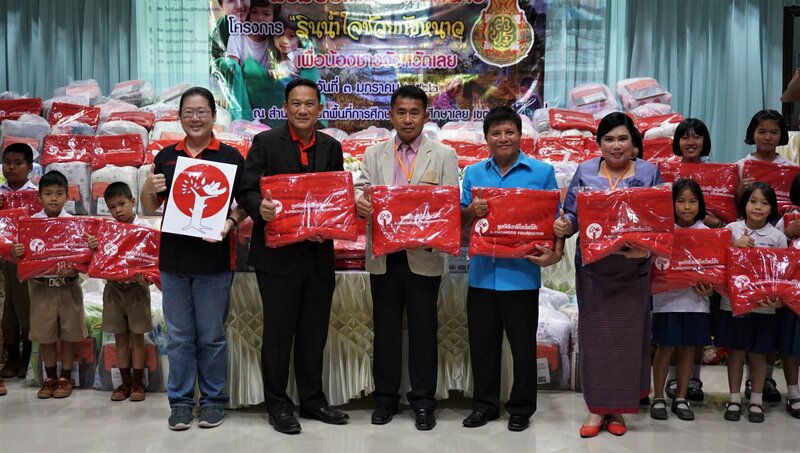 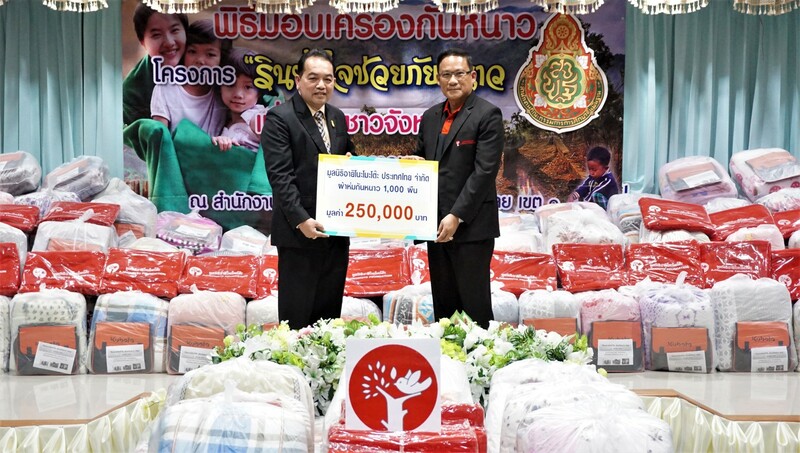 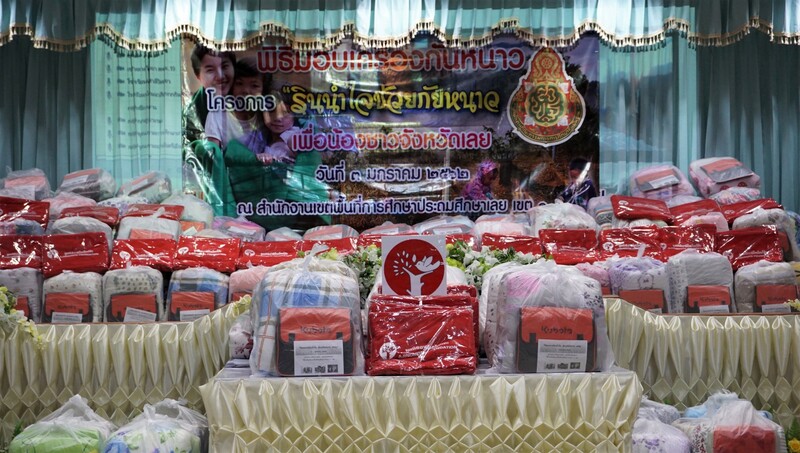 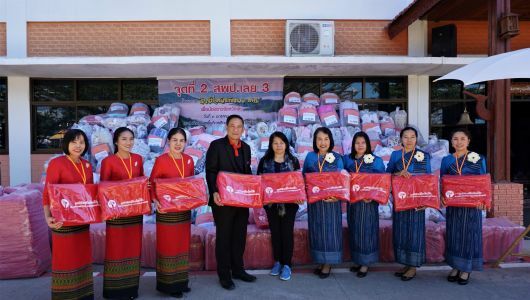 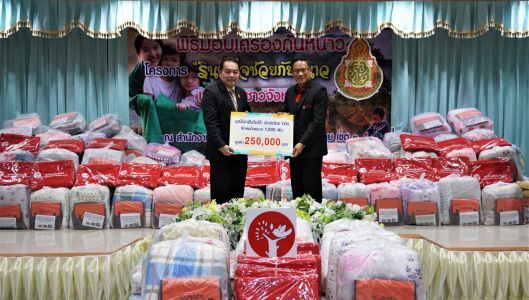 Ajinomoto Foundation by Mr.Varong Prayoonpong, Director and Secretary General and Deputy Treasurer of Ajinomoto Foundation together with Mr.Surasak Insrikrai, Director of General Administration Bureau & Senior Advisor in Policy and Planning, OBEC, Ministry of Education, jointly presented donation ceremony by donate 1,000 sets of blanket with the total budget 250,000 Baht to cold sufferers in Amphoe Chiang Khan, Loei Province. 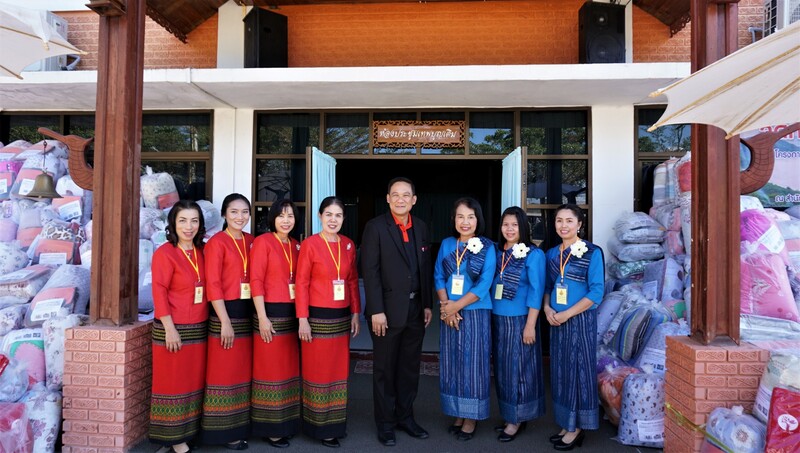 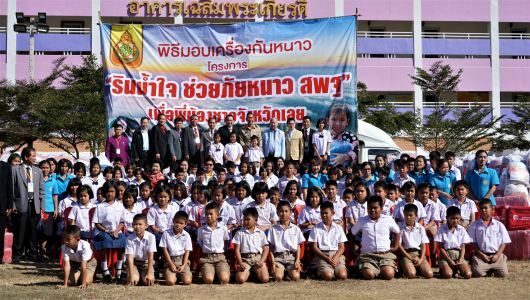 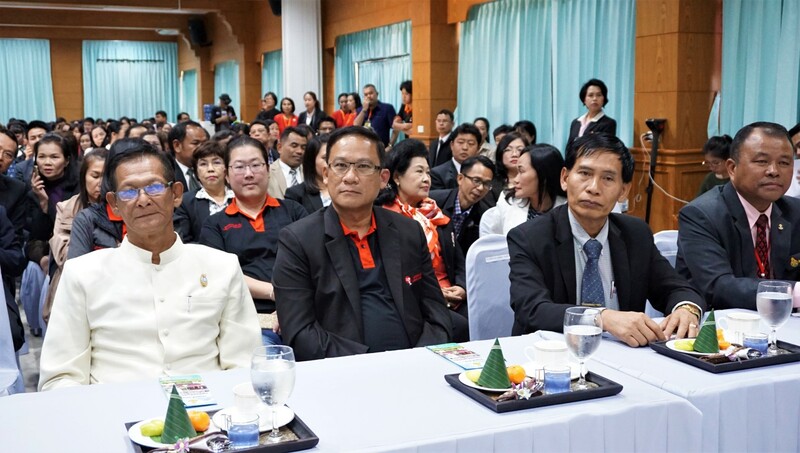 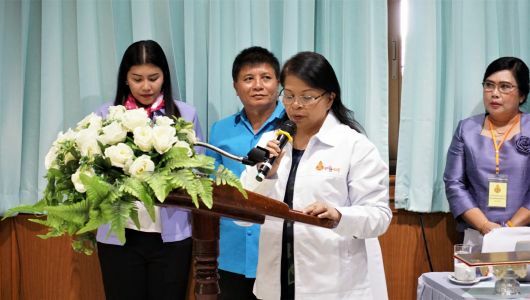 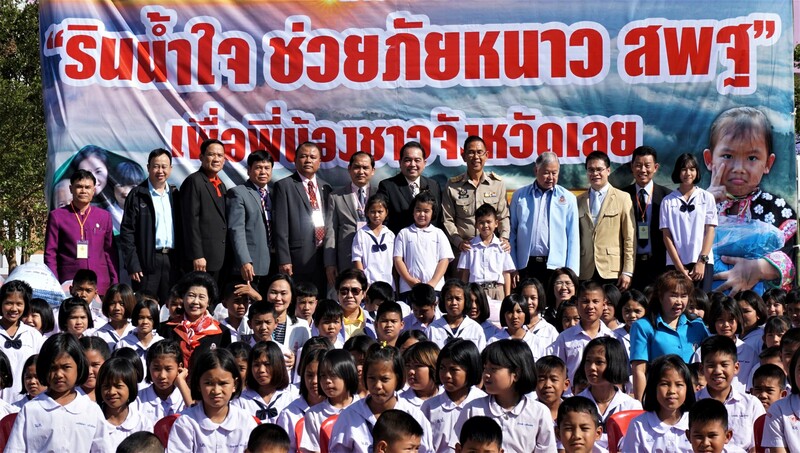 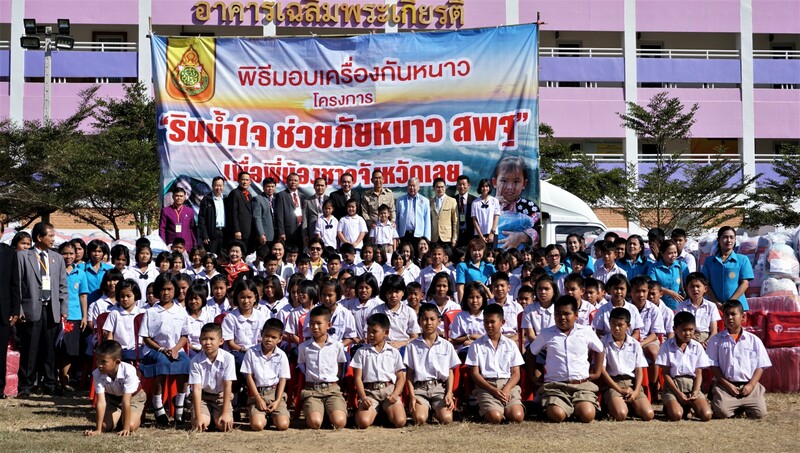 In this regard, it was an honor from Mr.Chaiwat Chuenkosum, Governor of Loei presided over the presentation ceremony as well.